America is the capital of world entertainment. All of the biggest stars are on show in the USA so, for a performer, visiting the country can be a dream come true. We have been helping people to turn their immigration dream into a reality since 1996, and our team of dedicate immigration specialists are here ready and waiting to help you too. Our unrivalled insight into the immigration process means that our clients get the very best results each and every time. The P-1B classification applies to a client coming temporarily to perform as a member of a foreign-based entertainment group that been recognised internationally as outstanding in the discipline for a sustained and substantial period of time. This person also must have had a sustained and substantial relationship with the group (ordinarily for at least one year) and/or provide functions integral to the group’s performance. This visa is a non-immigration visa, meaning that it is not seen as a view to permanent residency. Should you want to live and work for a longer period in the US, please take our free assessment to see what visa types are available to you. We would expect to have your case processed within a few months. The fees which are currently charged for processing are around a few hundred dollars, or there is a premium service which costs a few thousand dollars. Both the price and length of processing are determined by the US immigration authorities, as such we are unable to affect either of these. - The group has performed and will perform as a starring or leading entertainment group in production or events which have a distinguished reputation as evidenced by critical reviews, advertisements, publicity releases, publications, contracts, or endorsements. - The group has achieved international recognition and acclaim for outstanding achievement in its field as evidenced by reviews in major newspapers, trade journals, magazines or other published material. -The group has performed and will perform services as a leading or starring group for organisations and establishments that have a distinguished reputation as evidenced by articles in newspapers, trade journals, publications, or testimonials. - The group has a record of major commercial or critically acclaimed successes, as evidenced by indicators such as ratings, box office receipts, record, cassette or vide sales, and other achievements as reported in trade journals, major newspapers or other publications. - The alien has received significant recognition for achievements from critics, organisations, government agencies or other recognised experts in the field in which the alien is engaged, with the testimonials clearly indicating the author’s authority, expertise and knowledge of the alien’s achievements. -The group has commanded and will command a high salary or other substantial remuneration for services comparable to others similarly situated in the field, as evidenced by contracts or other reliable evidence. If the events are set to take place in multiple areas, an itinerary must be submitted with the visa petition. The itinerary must set forth the dates and locations of the events. The Green Card through Investment is available to entrepreneurs investing in an American business, creating jobs for more US workers. Qualifying is easy; you must make a substantial investment which creates permanent full-time jobs. It’s as simple as that. Every year, 10,000 Investment Green Cards are issued by the U.S. authorities, which is why it’s so important to get your application right first time around. Our team of ex-immigration officers know how best to represent our clients’ cases; their insider knowledge gives our clients the cutting edge when applying for visas, which is why over 94% of them would be happy to recommend us to their family and friends. In order to qualify, you must make an investment of $1 million or half that amount in a designated area of high unemployment. This investment must be kept for two years, should you want to qualify for residency, but can be returned at an earlier date if required. The business which you invest in must employ at least ten people on full-time contracts for your case to be accepted. All applicants to the USA must show that they are both of good health and good character. Typically, this is demonstrated by obtaining a medical certificate from an approved doctor, as well as a police report from your current country of residence. If you are married and/or have children under the age of 21 who are unmarried, then you will be able to add their details to your application. Supporting evidence will need to be provided for each member of your family that you wish to include. For more information, please complete our free assessment and one of our friendly team will get back to you. Please note that IXP Visas has partnered up with a J-1 sponsoring company that will assist in pre-placement or self-placement of summer work/travel, internship, and trainee programs in various industries in the US including a special internship program for nationals of the United Kingdom and Ireland. Two-Year Foreign Residency Requirement Some countries impose a two-year foreign residency requirement upon J-visa holders in which applicants must return to their home country upon completion of their training in the US before they are eligible to apply for an immigrant visa, adjust status, change status, or apply for an H or L visas. In Hochiminh City: 254 Nguyen Trai, Dist 1. In Danang City: No 7 Tran Quy Cap, Danang City. Labels: vietnam embassy, Vietnam visa. 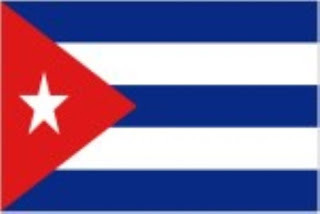 Until now, there has beenno Vietnam Embassy/Consulate located in Antigua & Barbuda so please search for the nearest country where a Vietnam embassy or Vietnam consulate is located to contact. Capital: Saint John’s Principal Settlements: Saint John’s, All Saints, Liberta, Potters Village. Q: Do the Americans need Visa to enter Vietnam or not? A: Yes, they do. The American living in United States of America or other countries in the world must have Visa to enter Vietnam. 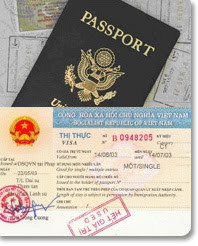 This way is called Vietnam Visa on arrival (VOA).You apply Vietnam Visa Online in website www.gettingvietnamvisa.com by filling your necessary information in the online form. You can do it easily, simply from everywhere over the world which have Internet, Wireless 3G Mobile Connections. This way brings to you the most effective, satisfactory result because it is quick, convenient, cheap and safe. You do not have to send your passport or important private documents to anywhere. After sending the Online Application form, you will get confirmation letter in 1-2 working hours to know the progress of your Online Application. Finally you will get stamped Visa on arrival at the airports in Vietnam after receiving our approval letter. Normally you receive an Approval Letter within 2 working days. In emergency your Vietnam Visa is processing from 30 minutes to 4 hours. You receive an approval letter via email before boarding the plane. As soon as arriving at the airports in Vietnam you have stamped Visa. We are available to support you if you need a help. Our service fee is fixed in website www.gettingvietnamvisa.com, especially NO hidden charged, NO failure. So you don’t have to pay any additional fee. Click here to find out our fee. You have to lodge your passport and relevant documents to Vietnamese Embassy or Vietnamese Consulate in America. It’s inconvenient for you when living far. Sometimes your application is failed because of missing passport, important documents. This way takes you a lot of time for applying and waiting. You don’t know how the progress of your application is going on. If you want Visa urgently whether your Visa will be ready in time. This is a big trouble if you need Vietnam Visa urgently such as on business, study, medical problems….In addition you cannot restrain expense, have to pay additional cost. By comparison, you easily find out the prominent advantages of applying Vietnam Visa Online via our website www.gettingvietnamvisa.com.